Can I just say? This community is awesome! 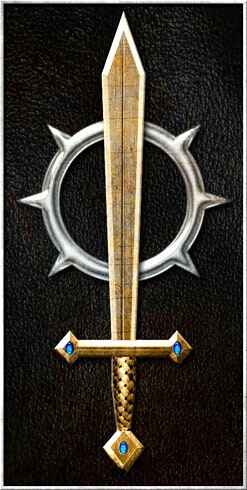 I have a friend looking to do the Executioners and he wants the new symbol from Forge World's IA 9+10 Badab War Books. If someone is willing to mock that up or at least throw some pointers out on how I can make them with either paint or MS Word, I would be really appreciative. Not sure if this qualifies as what is okay to post as a request on this page, but does anyone have a high-res pdf of the OOP Imperial Knight transfer sheets. I'm specifically looking for the one with House Krast. I'd love a copy of that since you can no longer buy them. and I'll update the first post in the thread by weekends end. Can someone create a decal sheet for me with the pegasus symbol in my sig pic in black? Edited by Brother Lorien, 04 May 2014 - 08:35 AM. Can someone please tell me where to get inkjet decal paper cheaply in Europe, preferably Germany? While about 2€/sheet is not a crippling price it is still a lot more than &lt;1$/sheet that the American sellers offer. I would try Amazon.com or Ebay. Amazon.com is for the USA. I got the prices I mentioned before from amazon.de. Ebay isn't better unless the stuff is sent from the USA, which means all the savings are eaten by the S&H and posibly customs fees. Maybe something from Holland? www.modelbrouwers.nl. I'm not sure if this will help. Edited by Kurgan the Lurker, 21 June 2014 - 01:52 PM. Ok all the new decals have been added (bar 2 which are coming this week from Emperor's Fury) to the first posts in the thread. I've updated some other info including artists and another free program that can help you make your own decals (Inkscape). I also added back in a few of the files that were lost (still trying to track down the 13th Co. and Ragnars Company sheets though). 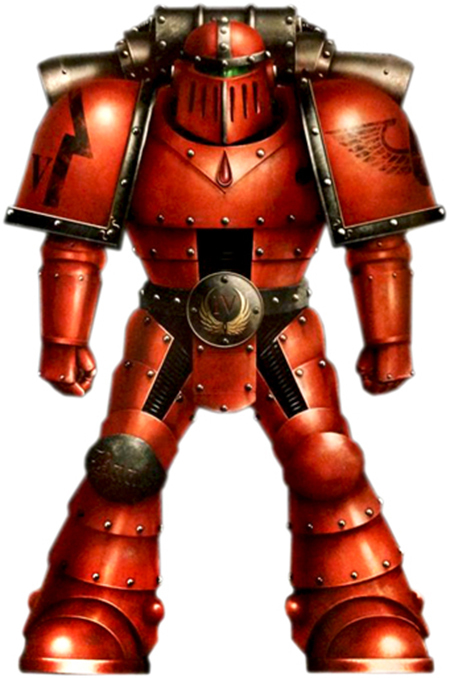 Any chance of getting this Blood Angels symbol done up in decal form? I know there is only half a symbol, but I'm sure a photo shop guru could figure it out! Is there any way you guys could make a decal sheet using this symbol? (You may need to just copy/paste the link into your search key, since I did this on my phone and can't do a direct link). Anyway, thanks in advance for any work or consideration you do! That is from Chapter Master Greymantle's personal DIY Chapter. Probably best to ask him. Yeah, sorry about that. I found it online, and didn't see where it was from. Anyway, I asked him, and he gave me the set. Okay, gonna reverse the 'common' question of this thread. Over the past few weeks, I've been focusing on Salamanders and related units when making decal sheets (figures, as I play Salamanders), but with a few minor exceptions, I've covered all the bases for the Boys in Green. So... anybody need a decal sheet not currently in the B&C inventory? No commission, no charge (although I won't complain if you like the work I do enough to send some models my way ). When you recover from Surgery, take a look at the Space Wolf Great Companies. I'm not sure we have all of them in the catalog currently. Will do, Kurgan. Figure before cutting time, I can go through the files here and start looking at the SW Codex. Okay... Looks like we are missing Erik Morkai's Sons of Morkai, Logan Grimnar's Champions of Fenris, Bjorn Stormwolf's Stormwolves, and Egil Iron Wolf's Ironwolves. Hmm... Looking over those symbols, I can probably knock them out before surgery. Edited by Carlson793, 09 February 2015 - 12:51 AM. Much appreciated, Carlson. The other files you've shared recently have been top notch. Here's an idea: do the pre-existing SW logos in different colors where appropriate. Examples include: A blue sea-wolf, yellow or red Ragnar company decals, a red Morkai two-headed wolf, and best of all, the Stormwolf/Thunderwolf in new varieties: red, blue, yellow, white. I've wanted this ever since the 2nd ed. Codex. All these would increase modellers' options many times over, and are entirely appropriate for the SW, who might use different colors in their lord's iconography even within a single Great Company. Edited by RRChristensen, 09 February 2015 - 12:33 PM. Tomorrow I'll get modifiable sheets prepped for the Co. we already had so I can colorize them. Hmm... and, looking at the GW SW sheet I brought to work with me, I also need to do a reversed version of Grimnar's sheet (white moon/black wolf). Back on the job! Per RRC's request, I've created color versions of the logos I prepped before surgery in red, yellow, and Space Wolves blue (plus a reversed black wolf/white moon version of the Logan Grimnar logo), and they're awaiting admin approval. Over the next few days, I'll be converting the by-other-folks SW decal sheets to add color. Now if you'll excuse me, I think I'm gonna head up to the gym to do my rehab exercises - still need to adjust the work desk so I'm not aching by end of shift. Edited by Carlson793, 02 March 2015 - 07:24 PM. Cheers mate, these decals are awesome, you've done gamers everywhere a huge favour. I was wondering whether anyone could create a decal sheet for the Warmongers Chapter, and also can someone maybe point me towards how I can print these sheets and what special paper is required?